5 Responses to "This week’s reading progress"
I love how fair you are in your reviews. 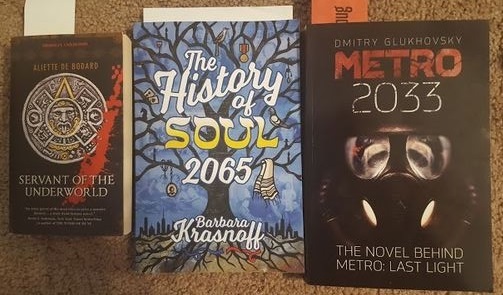 A shame about Metro 2033 because it sounded so interesting from your brief description. The concept almost sounds video-game-world-like, but that might be where some of the shallowness comes in. LOL at the part where everyone somehow survived on pigs and mushrooms. 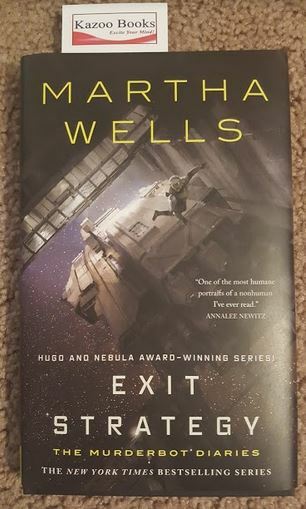 The only book I recognize in your post is Murderbot-one of my favorite series! I’m going to have to check the others out, as each of them sounds fascinating. Great reviews and good luck in finishing all the books! Phew! Glad to hear I’m not the only one not to be super enthused by Metro 2033. I read it the year before last and found it both boring AND depressing. And like you say, such a great concept … doh! the de Bodard was fantastic, we just bought the sequel!